Apple has released the fifth beta version of iOS 11.4 beta, macOS 10.13.5 beta, in addition to tvOS 11.4 and watchOS 4.3.1. Users enrolled in the Apple system software beta testing programs can find the latest builds available to download now. iOS 11.4 beta 5 can be downloaded from the Settings app Software Update mechanism. macOS 10.13.5 High Sierra beta 5 can be downloaded from the Mac App Store Updates tab. tvOS 11.4 beta 5 and watchOS 4.3.1 beta 5 are both available to download from their respective Settings applications as well. iOS 11.4 and macOS 10.13.5 seem to primarily be bug fix updates, though the beta builds are continuing testing out Messages on iCloud as well, which aims to improve syncing and handling of iMessages across devices and across iOS and macOS by storing Messages content directly in iCloud. It also appears that iOS 11.4 is testing some new features for AirPlay 2. The most recent stable versions of macOS and iOS remain iOS 11.3.1 and macOS 10.13.4 High Sierra with Security Update 2018-001. Apple usually goes through a variety of beta builds of system software before unveiling a final version to the general public. 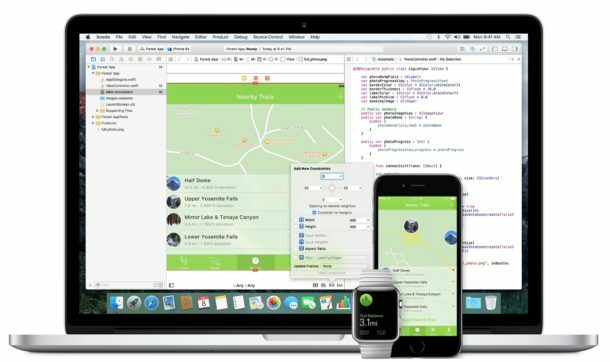 It is assumed that the final builds of iOS 11.4 and macOS High Sierra 10.13.5 will debut sometime at or near WWDC 2018, which starts in a few weeks. Are you sure? I don’t see it there.